I focus on various aspects of industrial brokerage, such as helping to facilitate acquisitions while cultivating relationships with clients and prospects alike. I provide a comprehensive analysis of the market and evaluate all options for my clients to make an informed business decision. I demonstrate an unwavering commitment to excellence and a drive to sourcing new business opportunities. My entrepreneurial spirit and attention to detail add measurable value to my clients and their business requirements. Allen Gump is executive vice president of the industrial division for the Dallas-Fort Worth office of Colliers International. Allen’s experience spans all areas of the industrial real estate industry, as well as the entire Dallas-Fort Worth marketplace. His experience in handling leases, sales and build-to-suit projects has long been a reason that new brokers look to Allen as a mentor. Allen joined the Dallas-Fort Worth office of Colliers International in May 2002 as a managing director. 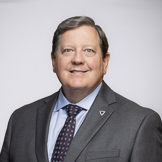 During his extensive career, Allen ran his own brokerage firm, The Gump Company (1992­-1998), and successfully led industrial divisions for The Baldwin Company (1984-1992) and Fults/ONCOR. In 1998, Kennedy Wilson bought Fults/ONCOR and Allen became the senior managing director. Allen is a well-recognized industrial expert for North Texas. Beginning his career in 1984, he has a solid, respectable reputation with both other real estate brokers and his clients as a straight-to-the-point dealmaker.